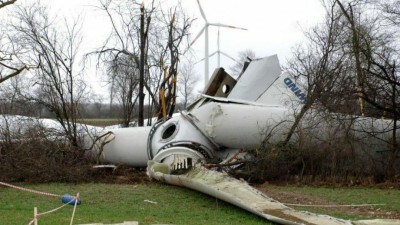 The wind industry: not quite as robust as originally thought. Infigen is an all-wind-power-outfit that used to be called Babcock and Brown, which collapsed in spectacular fashion back in 2009: the way things are headed, get set for a replay. Infigen is bleeding cash (it backed up a $55 million loss in 2011/12 with an $80 million loss in 2012/13 and keeps losing money, booking a $9 million loss last financial year). It scrambled to get development approvals for all of its Australian projects so they could be flogged off ASAP, and the cash used to ward off the receiver. But, no luck: in the current climate, its chances of finding buyers are slimmer than a German supermodel. 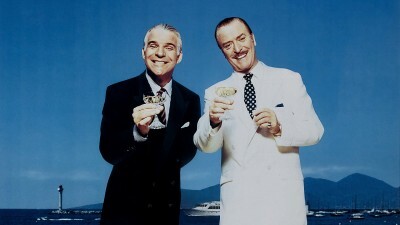 During its first incarnation as Babcock and Brown, these boys fleeced investors and creditors to the tune of something like $10 billion (while its directors pocketed – and somehow managed to retain – 10s of $millions at creditors’ and investors’ expense). Having spectacularly crashed and burned, Babcock and Brown then shamelessly phoenixed into Infigen – which is about to do it all over again: its losses continue to pile up, it continues to bleed cash, its share price continues to head in a general Southerly direction and its mountain of debt is fast-becoming insurmountable (see our posts here and here). Psst, wanna make a small fortune? Then take a very large one, and put it all into Infigen shares. Now, in a last-ditch attempt to ward off the receiver and its growing band of nervous creditors, it’s put its US wind farms on the market. Australian wind farm operator Infigen Energy Ltd is exploring the sale of 18 U.S. wind farms, worth about A$500 million ($409 million), so they escape impact from the uncertain future of Australian state rebates for renewable energy firms. Infigen has hired advisers to consider ways of splitting U.S. assets from its six Australian wind farms, so consequences suffered by Infigen from a political deadlock over the rebates would not filter down to assets on the other side of the world, Managing Director Miles George told Reuters on Wednesday. “We have contemplated … the possibility of separating our Australian and U.S. businesses so that the U.S. business can be financed out of the U.S., where we think it would get better value recognition and make more sense,” George said. “Separating could be either a sale of the entire U.S. business or a refinancing which would see us raise equity into the U.S. business at the U.S. business level,” he said. George said the company has appointed advisers but declined to name them. The sale ratchets up pressure on Australia’s conservative government to resolve a deadlock with the opposition Labor party over how much of the country’s energy should come from renewable sources by 2020. The government effectively wants to cut the target so it is proportional to declining electricity use, while the opposition, which set the target in 2009, wants the amount to remain fixed. Negotiations between the two broke down last year, resulting in a collapse in the price of the market-traded certificates the state gives renewable energy companies as an incentive. Some 45 wind farm projects in Australia have been approved for development but appear to have stalled because of uncertainty about state support, according to the Clean Energy Council. Meanwhile, “the environment in the U.S. at the moment is strong, equity markets are strong, renewable energy market prospects are strong, so it kind of makes sense to do something,” Infigen’s George said. A spokesman for industry minister Ian Macfarlane agreed the renewable energy industry faced uncertainty but said the current target was not sustainable or achievable. “A recalibrated (target) will better reflect market realities, which will in turn create a more stable environment for long-term investments,” the spokesman said in an email. Labor’s shadow environment minister Mark Butler was not immediately available for comment. Infigen shares were up 4 percent in a higher overall market. 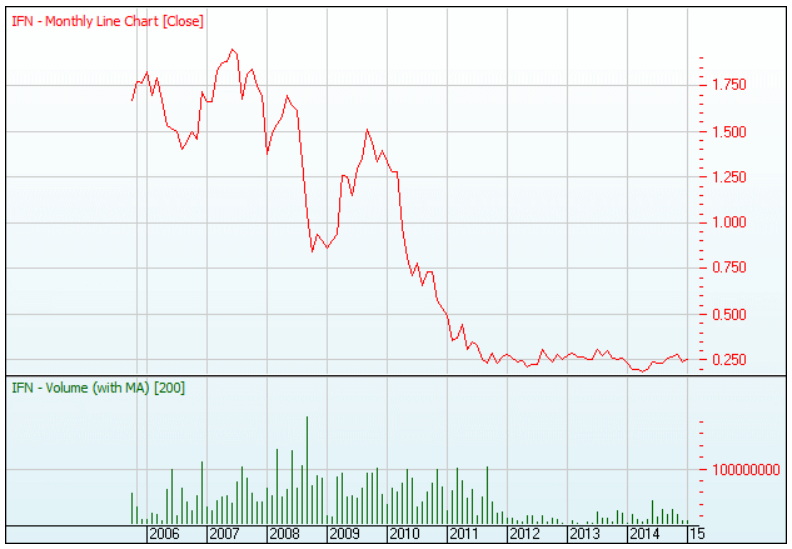 Infigen Energy (ASX: IFN) notes recent media speculation in relation to potential corporate activities. It would continue to explore opportunities to unlock value from its portfolio. There can be no certainty that any of the opportunities will result in a transaction. Infigen will continue to explore these and to generate other opportunities, and keep securityholders updated as appropriate. Put through the STT translator, we think that when it’s talking about “exploring opportunities”, Infigen really means that the cards have all been dealt. Hence, the fingers-crossed-qualifier about there being “no certainty” of pulling off a last ditch resurrection, through some “potential transaction”. And, no doubt, its promise to keep “securityholders updated as appropriate” will provide its already nervous creditors with great comfort. When a company keeps telling the world that it’s on brink of collapse – as this one seems to do on a daily basis – the dissipation of its income earning assets, is usually the last straw. Creditors – sensing that the chances of getting anything at all back will vanish, along with the debtor’s assets being put on the auction block – generally circle the wagons pretty quickly, in an effort to secure something from the distressed company’s fast-dwindling pile. STT suspects that insolvency practitioners are already opening their “Infigen” files, on their creditor-clients’ behalf. With close to $1 billion in mounting debts – even if it pulls off its escape from the US, and pockets the $500 million it’s hoping for from that move – Infigen is unlikely to last much longer. The whole idea of holding (notionally) income producing assets is, funnily enough, to earn and receive income. By ditching its US wind farms, not only does Infigen put its creditors and investors at even greater risk of never recovering a penny, it cuts its revenue stream at a time when – you’d think? – it was looking to pocket every last cent – in order to keep its banker and creditors at bay. The greatest Ponzi scheme of modern times is just about to collapse – taking Infigen with it. But Infigen can’t complain – in its previous incarnation, as Babcock and Brown, these boys set it up; and Infigen has been the prime mover, ever since. Get set for Babcock and Brown MKII. Now, that was fun. So, is anyone ready to invest in Infigen now? Or Babcock and Brown MK 3, say? We’d just love to do it all again. Infigen was too slow to recognise and adopt the Chinese Goldwind strategy of quickly constructing the Gullen Range wind farm, without and/or contrary to approvals, and get the REC’s flowing in, then selling 75% to another Chinese (HK listed – ie unsuspecting shareholders) to make a profit, get in some cash and offload the majority of risk. The Chinese are probably not buyers of Infigen’s constructed ‘assets’ as the Chinese would be dedicating their resources to apply vertical business integration, ie sell Chinese made turbines. But the Chinese may well buy the non-constructed approvals cheaply – not so good for Infigen, but liquidators would probably have their telephone number. Goldwind certainly knows how to play the Australian states’ planning and legal system’s. Ask the NSW Dept of Planning, the Minister for Planning, the Land and Environment Court, the Planning Assessment Commission, etc. The sooner this corrupt mob are belted out of business the better, because they couldn’t give a rat’s arse about anyone suffering from their fraudulent-fans, and never have. What a shame. Infigen has achieved what no other developer has achieved in Australian history: a wind farm application which attracted not even one objection, and a wind farm planned to be 10km plus from the nearest non-involved neighbour. (The council approved it.) It’s a very novel approach for a wind developer. As boss at the Clean Energy Council, Miles George is setting an example for his wind farm buddies, but I don’t think they are listening. Ratch certainly isn’t – proposing 63 x 3 or 3.4MW turbines within 5km of over 2000 people at Mt Emerald. It’s time for Ratch to admit they’ve made a mistake … we all make them … it’s time for them to pack up their bags and go back to Thailand and leave residents alone to get on with the rest of their lives. Not sure that Infigen provides anything other than THE perfect example of the very same callous disregard for people and rural communities exhibited by all wind power outfits? That it sought approval for 1 wind farm 10ks from homes, doesn’t set any ‘example’ at all. Infigen have fought tooth-and-nail to get over 40 wind farms approved (over bitter opposition). Together, if these plans were ever realised, there would be thousands of people well within that distance, who would end up living a life of misery, and see the value of their homes and properties slashed. Thankfully, none of them have been built; and nor will they be built. The sooner the receiver is called in the better, that way over 40 rural communities will be granted peace and be able to get on with their lives and prosper. Speaking of RATCH – what are they coming at claiming in the Cairns Post paper that in the event of a grid blackout, they will continue to supply electricity to some 75000 homes. Even if it were possible (and the grid operators would not permit it) who would want to be supplied with power from such a source so wildly fluctuating and indeed probably not even then. We know how constant the wind blows!!?? I will be sending a reply to the Cairns Post putting them straight. This is the sort of crap the industry feeds to the gullible masses. PS. I did an interview with Richo and Jones (Sky News) on Tuesday night. I think it could have been a bit more fluid but at least it is a start – more to come. Your interview went well, David. But you missed a golden opportunity to mention STT as the one-stop shop for those wishing to learn about the greatest fraud of all time. So, next time you’re on air, why not give STT a plug? The sooner they sell of all their assets the better – but old machinery isn’t worth very much especially when it is out of warranty – costs too much to keep it operating. You would have to be daft to even consider buying old worn out machinery at any knock-down price.